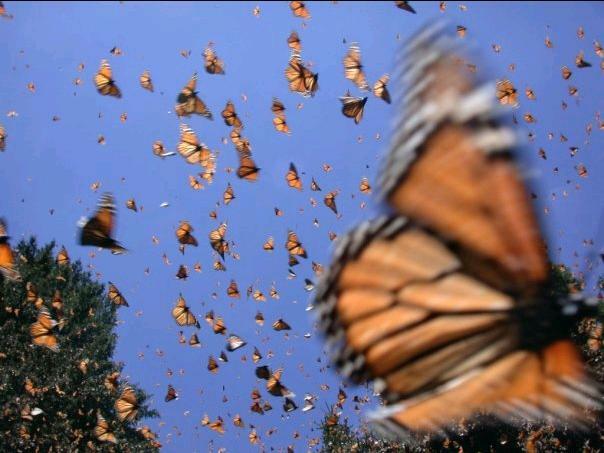 The butterflies will take you to the heaven's land. She will fly you to the higher place. Where humans stay young,  and age isn't a number. Where the river flows,  and the at darkness their is light. Will fill your cup with love,  peace, and joy. Where the angel's sing,  and their is better days. Where there  is a land of hope, faith,  and a key to a heart of Gold. A place without hate,  lie's,  and wickedness. and the animal's  are all tame. A light of full joy,  a light full of love,  and a light to sang. A song that will lead you to a happier place. A world that's new. A new start. A new very fresh beginning. Where diamond's new go dull,  and fruit's and flowers never die. Where nothing will ever rots. Where the moonlight is a brighter light,  and where you can set and watch the star's forever. Where the birds will never die,  and the bird's will everlastly  chirp and sang. Where angel's walk ashore,  and the beach is forever known to be calm. Where it is always feels safe. And there's won't ever be a serpent snake. Where the clouds look like they can dance. And things will feel more clearer,  where the brain won't go blank.